The item in this review was provided at a discount for review by Ministry of Supply. 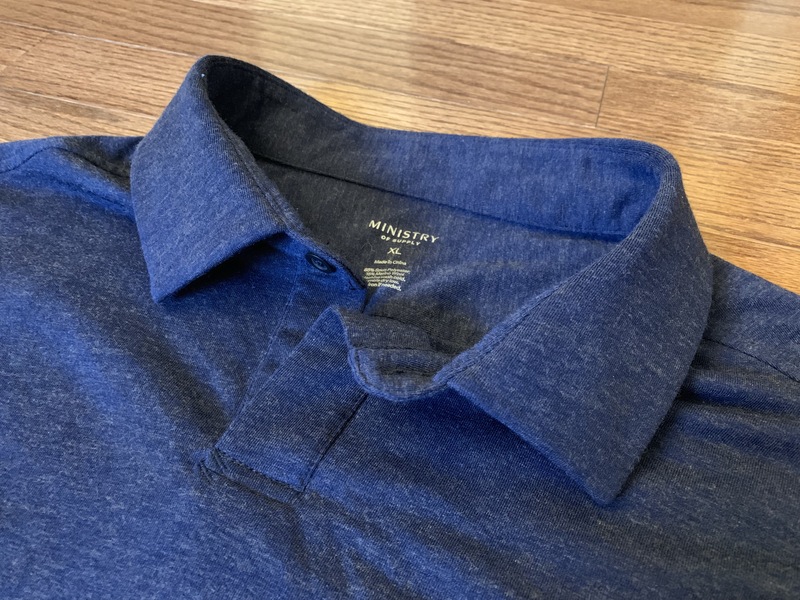 When I saw the launch of the Ministry of Supply Composite Slim Fit Polo, I was intrigued by the performance claims made with such a low merino content (15%). Since I was having trouble finding the perfect polo, I took a chance and gave it a try. The fabric is a jersey-knit 85% polyester/15% merino wool blend with four-way stretch. It is machine washable on cold and can be dried on low (although I would still recommend hanging dry). The first thing that struck me about this fabric was how “natural” it looks. It doesn’t have the sheen of polyester and it drapes like a light cotton polo. It is the first mostly synthetic polo that I’ve seen that doesn’t have that technical look. Ministry of Supply claims they achieve this through “wool micro-fibrils”. 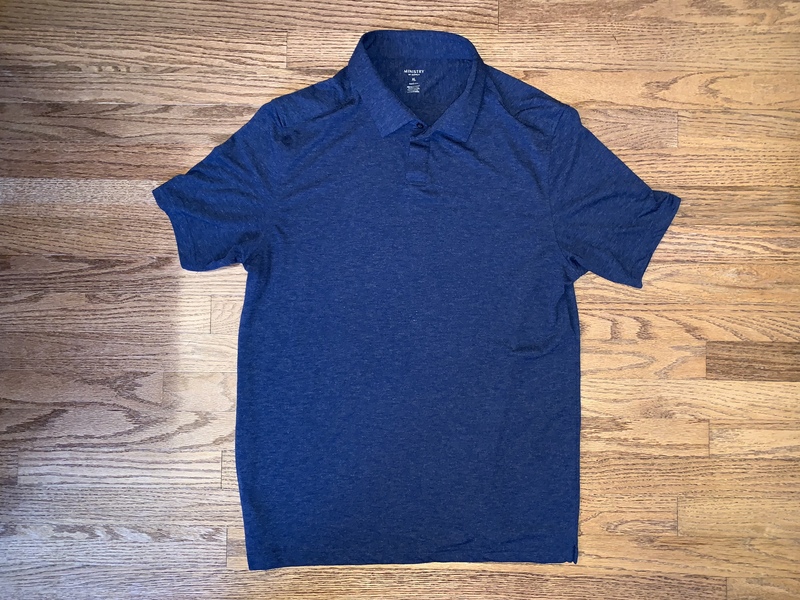 While this helps the look and makes the fabric extremely soft to the touch, it does give the polo a bit of a fuzzy look when viewed at the right angle and the right light. The fit of this polo is more slim than the Apollo 3 Polo. However, I did find the same size worked for me for both, especially since this one is more casual. If you ever plan to tumble dry, I would size up, as Ministry of Supply does note that the fabric can shrink (I didn’t see it with cold machine washing and hanging to dry). The length was also a bit shorter — perfect for wearing untucked (I found it a little short to keep tucked in, possibly another reason to size up). The open collar also lends to the casual nature of the shirt. With only one button at the collar, it is intended that you leave the collar un-buttoned. 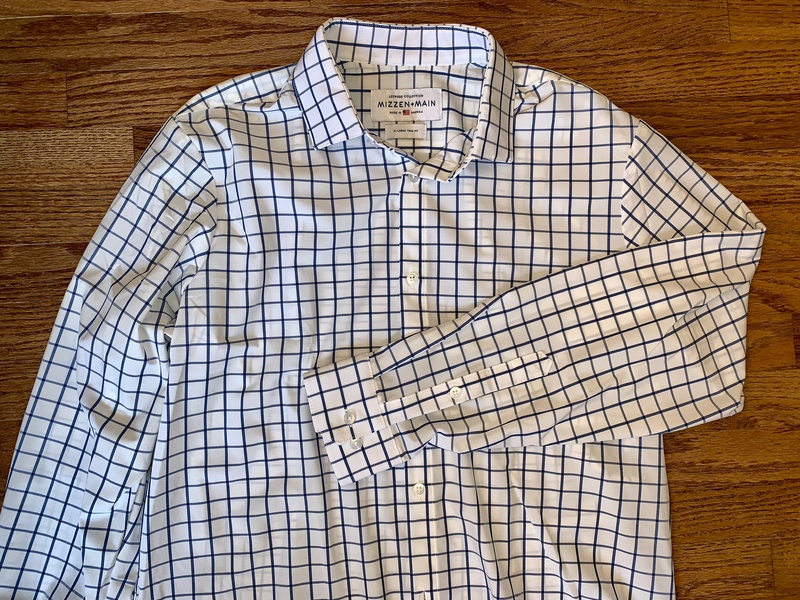 The placket is shorter than a typical 3-button polo though, so I never felt like the collar was too open. The sewn-in collar stays also help to keep the collar looking sharp. Overall, the collar performs well and doesn’t look floppy or out of place like many other performance polo collars. I was pleasantly surprised with the performance of this polo. The 15% merino content definitely performed above what was expected in the odor department. I can trust that I will get at least two wears, more if I’m not sweating a lot. 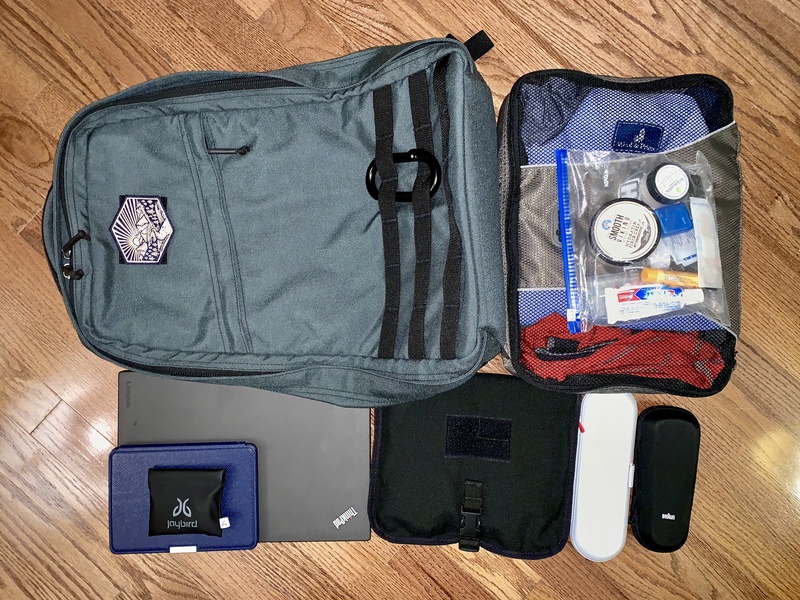 Even when I wore the polo with a backpack and jacket and took a brisk (sweaty) walk from my train to hotel, I was able to get a second wear. 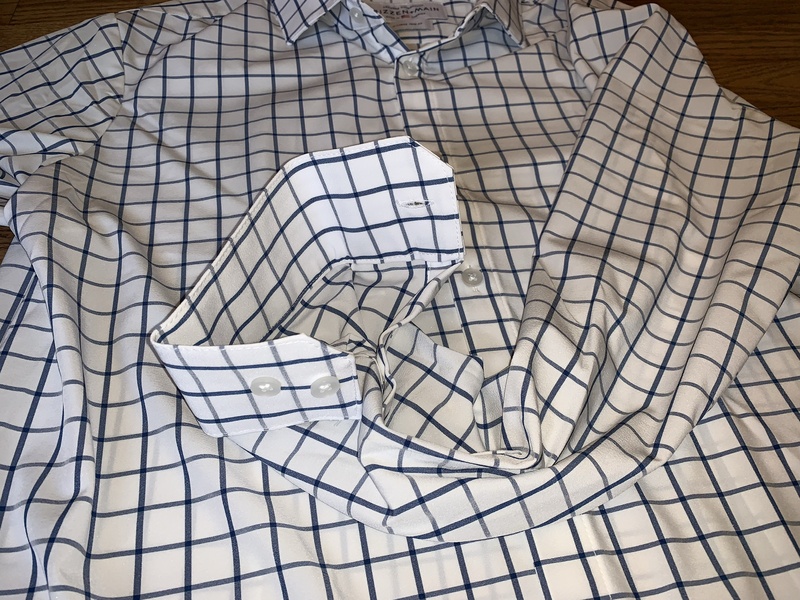 Even better, since the fabric is light and drys quickly (with no wrinkles), it would be easy to give the polo a wash in a hotel sink and count on it being dry the next day. 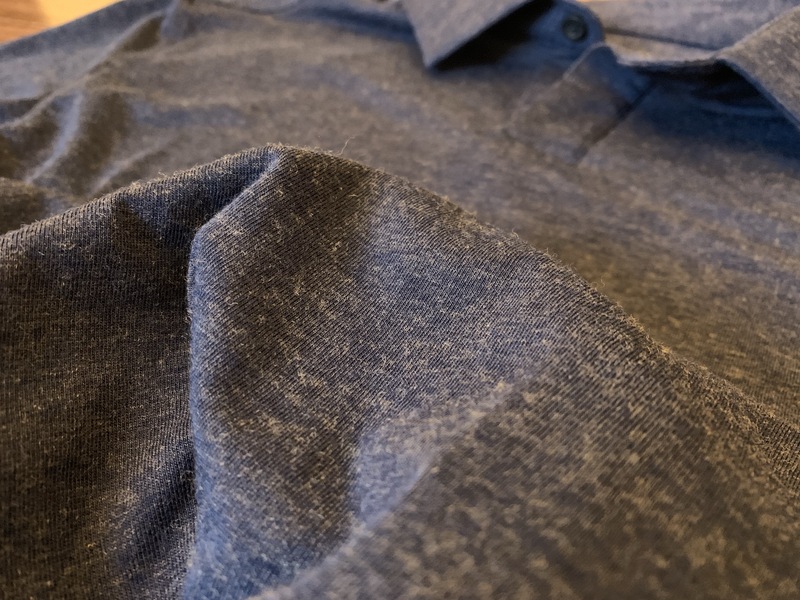 While it will never beat a 100% merino polo, it certainly performs admirably. Even in pretty sweaty situations, I found the moisture wicking and drying properties to be excellent. I never felt very sweaty and the fabric never felt heavy with moisture. This polo is worth consideration for a more casual look. The combination of the jersey-knit fabric, open collar, and slim fit keep it casual while still looking sharp. The odor resistant properties are there, even though the merino content is low. At $85, I think this will be a hard polo to beat. 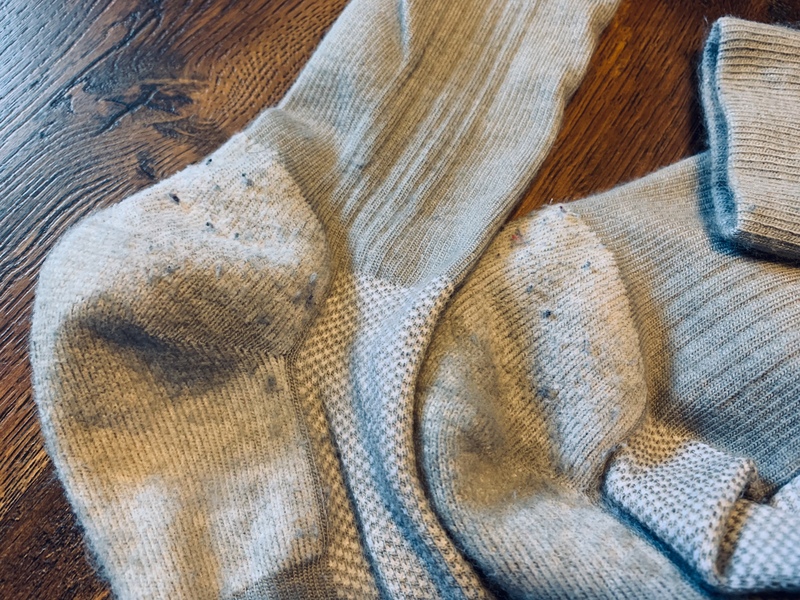 Once you try wearing merino wool for your socks full time, it’s hard to go back to cotton. And once you go down this path, you realize there are quite a few companies which can provide you with socks. 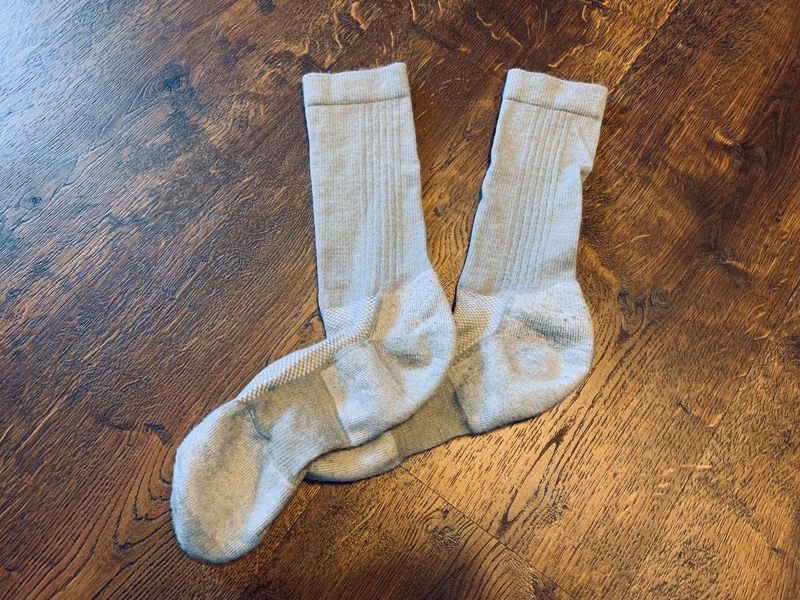 Steve and I are big fans of Darn Tough for most of our sock needs, but Outlier makes ‘Megafine’ socks in both traditional crew length and low (no-show style) (no longer sold, replaced with low lows, which I can only assume are lower). I’ve owned two pairs of each for quite some time, so let’s talk about them. These socks fit somewhere between athletic socks and dress socks. They are too nice looking to be your standard white athletic socks, and too thick to be seen as dress socks. So they walk that line, which can make them a bit hard to wear — especially if your socks tend to show. However, I have found that these are easily the best socks I own, and have ever tried. They are soft, almost luxuriously so, and they utilize compression, nylon, and venting in all the right areas. This means they are more comfortable than any other pair of socks I own, fit better, feel better, and generally perform better. They are thick, but only slightly so when you wear them. In that regard they are mostly thick in how they look and fit in a shoe, not in the warmth they provide. I own both black and natural tan, and much prefer the natural tan (I’ve never been a black sock fan). 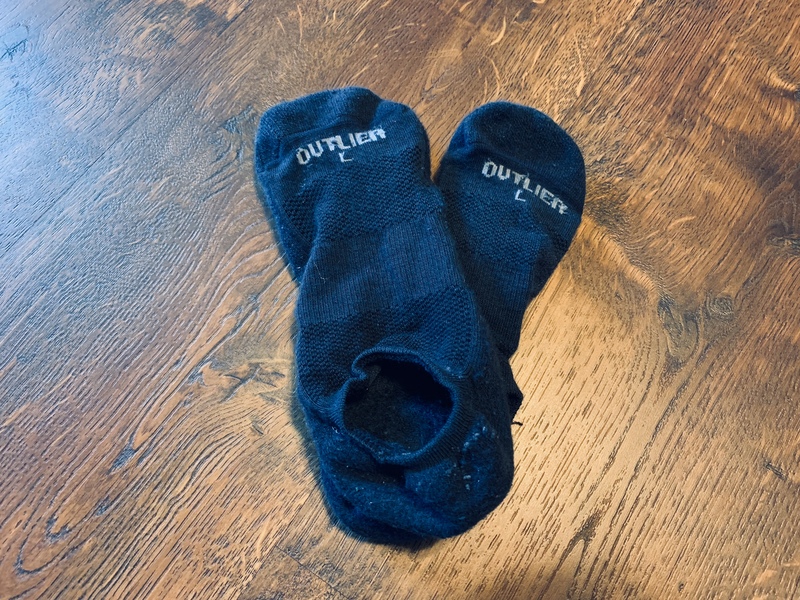 Outlier’s marketing states: “Designed for comfort, durability and style, we think they’re the nicest socks we’ve ever worn.” I completely agree with them, with a big caveat. As you might have noticed, I don’t travel with these socks, because the color options and overall look don’t lend themselves to blending in well in business settings. Additionally they are $25 per pair, and while not overly expensive for merino wool socks, I tend to be able to find Darn Tough dress socks on sale for much lower prices. If money were no object, I’d wear these socks, but if value is important these are a harder sell. 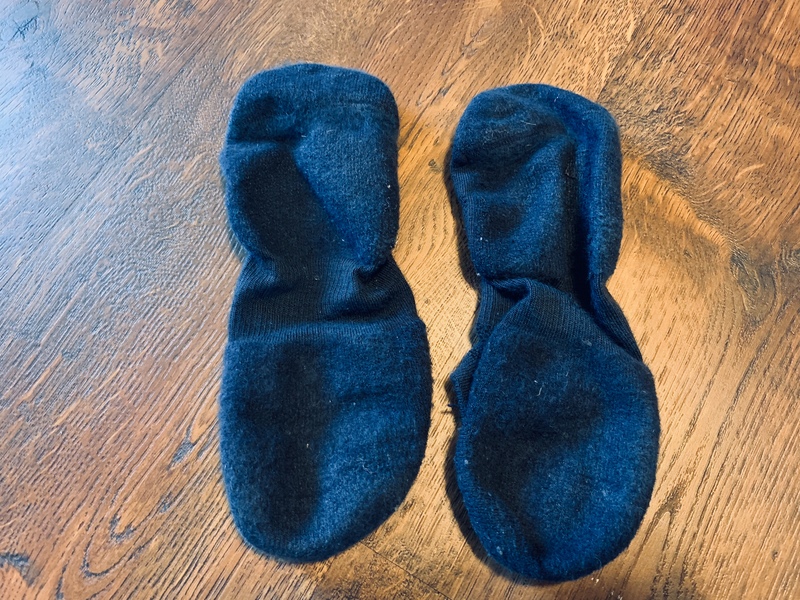 There is one final thing to note, other than some pilling on the heel of the socks, these basically look brand new — they are holding up and lasting much better than my Darn Tough socks. Time will tell if this trend keeps up, but if it does, that might be enough of a value proposition to switch. In short: if you don’t need a dressy looking sock, then there’s no better option for crew socks than these. Your feet will love them. These are your standard no-show socks which are meant to completely hide themselves in your shoe. They are constructed in a very similar manner to the crew socks, just without the part which runs up your leg. They are also decidedly not as good as the crew variant. I have not tried the new ‘low lows’ Outlier is making, but the issue is that the lows themselves do not stay put. Pull your foot out of a shoe, they come off. Have your heel slip up in the shoe, the socks come off. These are insanely comfortable, but they also fail at one of the more crucial tasks a sock has: staying on your foot. And because of that, they are a constant battle. In addition, they also have gotten quite fuzzy over the two years of use, but amazingly have held their shape and have no holes in them. Over the same time span I have tossed 3 pairs of Darn Tough low socks, as they have had holes worn in them. So while they simply do not stay on my feet, they are extremely well made and comfortable as a sock. Overall, I won’t be buying these again, but I do wish they had some mid-low socks or something which would stay on my foot better. I really like the crew variant of the Megafine socks, and if they continue to hold up as well as they are (and as well as the lows) I can see myself moving over to them. The main issue is that they are extremely basic looking, with no patterns and very few color options. What is amazing about these socks to me is that they are not only very comfortable, but also very durable. When you put them on, you won’t think they will hold up, they are too soft feeling. But they do. Personally, the lows are not good enough for me to want to buy again, but I think that will depend more on your foot than anything else. The crew socks though are most excellent. I think Darn Tough offers better designs, colors, availability, and value — but if you want the best sock out there, then you’ll want a pair of Outlier Megafine socks. Now that fall is upon us, it’s a good time to start thinking about your layering strategy for the cold weather. I recently took a camping road trip through the Atlantic states and provinces, and encountered cold weather along the way. On this trip, I was able to test out my layering strategy early and was pretty happy with how it worked out. Layers are a great way to keep warm while adjusting to changing conditions throughout the day. Typically, layers also allow you to keep warm with less bulk — you can choose pieces that are best at one thing rather than having one piece that does it all pretty well. Sweat is the biggest enemy to warmth. Without the ability to shed layers as you warm up, you will sweat, and as sweat evaporates it cools. A sweaty shirt or jacket on a cold day is a quick way to get uncomfortably chilled, or even worse, hypothermia. My layering system consists of a thermal baselayer, a shirt and/or insulating midlayer, and a shell for wind, rain, or snow. The most important aspect of a good baselayer is how well it wicks sweat and how quickly it dries. This is to protect from our number one enemy in the cold, moisture. While a baselayer also will help keep you a bit warmer when you are static by trapping some body heat, its real purpose is to help manage sweat when you are active. Since a baselayer needs to be able to efficiently wick sweat, it is important to get the fit right. You want the fabric to sit snugly against the skin so there is no opportunity for sweat to pool against the skin or for cold air to evaporate sweat directly from the skin. I typically wear a Patagonia Capilene Midweight Zip-neck and Pants (Polartec Power Grid) as my baselayer. All the Capilene baselayers are treated with Polygiene odor control which I find to work pretty well — I can get a few days out of a top and more out of the bottoms, depending on how much I’m sweating. There also are lightweight and thermal weight options if you need less or more warmth. For 2018, Patagonia released a new merino blend Capilene, the Capilene Air (51% merino, 49% recycled polyester). The fabric has an interesting 3D knit structure and claims to have the greatest warmth range along with the ability to insulate while wet, dry quickly, and resist odor. While double the price of the equivalent Capilene Midweight, this seems like it could be a great fabric and worth the premium for some. The main job of a midlayer is insulation. The temperature and whether you are going to be active or static can help you choose the most appropriate piece. Active insulation is designed to be very breathable (air and moisture permeable) so the sweat that is absorbed by your baselayer and evaporated by your body heat is able to efficiently migrate into the environment. Static insulation is designed to keep you warm while you are still, so it is less breathable to help conserve the captured body heat. One thing to keep in mind if you are looking at down — while synthetic insulation still works when wet, down looses much of its insulation capability in wet conditions. Fit is important here as well, but remember to size for the range of layers you may be wearing underneath. Drawstrings, Velcro, and elastic can help with getting the fit adjusted perfectly. I typically wear one or two midlayers, depending on weather conditions and what layers I plan to shed if I get warm (or end up inside). For me they can be a long or short sleeve shirt, light fleece (Patagonia R1 Pullover), and/or down jacket. Typically I wear a shirt over my baselayer if I think I might get very warm or end up inside. My insulation layer then goes over either the shirt or directly over my baselayer. An alternative to the down jacket could be a synthetic insulated jacket like the Arc’teryx Atom LT or synthetic active insulation layer like the Arc’teryx Proton LT.
A shell is an important layering piece when it is windy or wet. Just like sweat is the enemy, getting wet is just as bad. Being wet in the wind is even worse because the wind accelerates evaporation (and therefore cooling). A good shell will protect you from both elements. However, you should not wear a shell unless it is needed because it will typically be your least breathable layer and will hinder the evaporation or sweat. As the sweat builds up and makes your insulation layers damp, it can hinder the ability for them to continue to perform as expected. For a shell, the fit needs to be more flexible since you will probably wear it on its own as well as over various layers. This makes drawstrings, Velcro, and elastic important so the fit is adjustable. I prefer a lightweight shell like the Outdoor Research Helium II Jacket because it packs down small for easy stowage when the weather improves (or to carry just in case). The Helium is an ultralight shell, so unlike a hardshell the waterproof membrane is visible on the inside of the jacket. 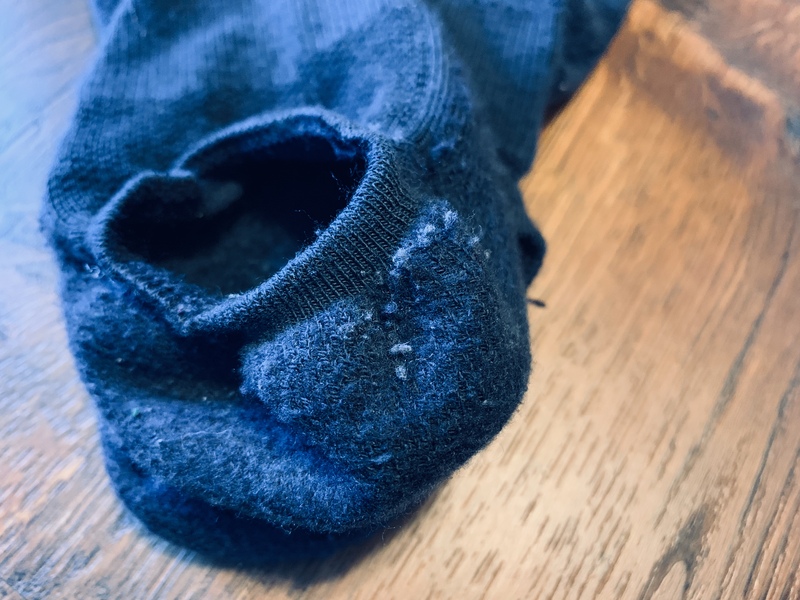 This makes it lighter but less durable and can more easily loose breathability from having clogged pores from body oils and dirt (hardshells typically sandwich the membrane between two layers of fabric). No matter what type of shell you have, if the DWR fails and the face fabric wets out, you loose all breathability. Utilizing a shell for wind and water resistance allows you to select a very breathable midlayer which becomes especially important if you are active while out in the cold. If you are going to be out in rain all day (or days) or need more durability you might want a true hardshell, but I’ve never had any issues with the Helium Jacket. If you want to stay warm outside in cool and cold weather layering is the way to go. You can stay comfortable throughout the day, even with changing conditions, and you don’t have to deal with that bulky winter coat for most weather. A simple system of a thermal baselayer, an insulating midlayer, and a shell can get you through most weather. If it’s really cold, you can swap out your midlayer, wear a warmer baselayer, and/or replace the midlayer and shell with a parka.